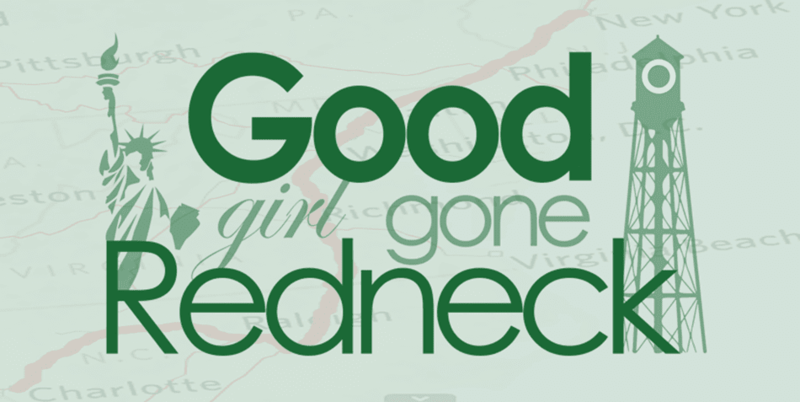 Good Girl Gone Redneck: Difficulty conceiving? Look into The Stork OTC Home Conception Aid. Difficulty conceiving? Look into The Stork OTC Home Conception Aid. If you're a mom or hope to be one some day you're likely aware of at least one person in your life who has experienced difficulties conceiving a child. If you haven't learned of anyone with this experience I'm here to report that one day you probably will. 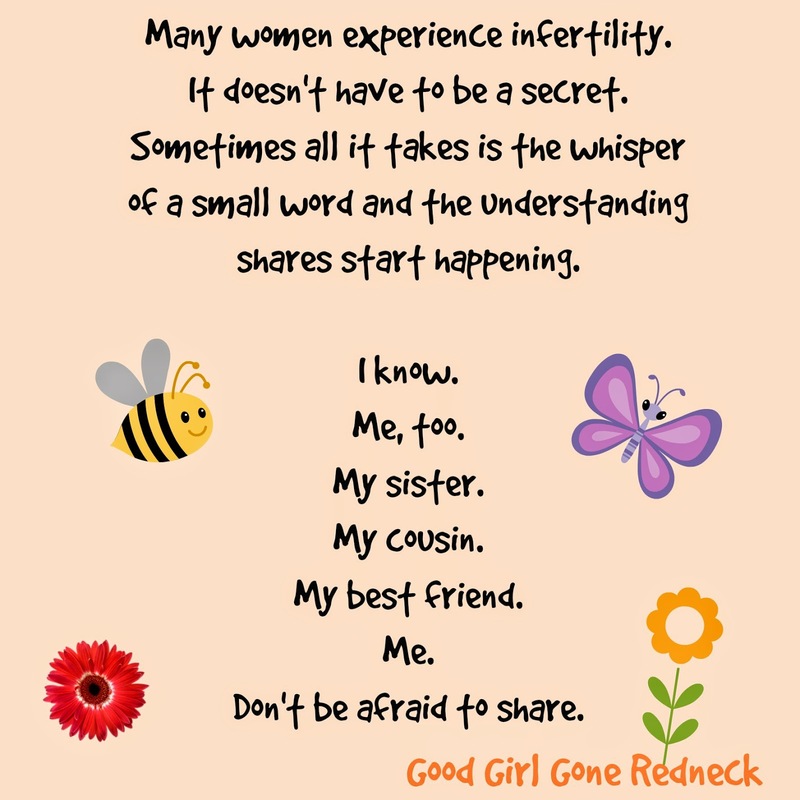 So many women experience issues with fertility. It's something that is not always discussed. It's something that sometimes you won't hear until you share your own story. Then the understanding shares happen. 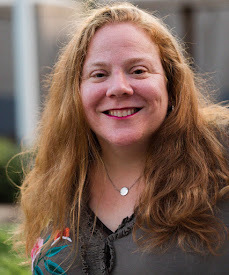 I've been provided with some stats with respect to infertility and difficulty conceiving that I'd like to share with you today. According to a study done by the Centers for Disease Control and Prevention (CDC) about 10.9% of women aged 15-44 *yes, I know that's quite a range* have an impaired ability to either get pregnant or carry a pregnancy to term. That's a number that represents around 6.7 MILLION women. And this same information indicates that one in six couples are unable to conceive after twelve months of trying. 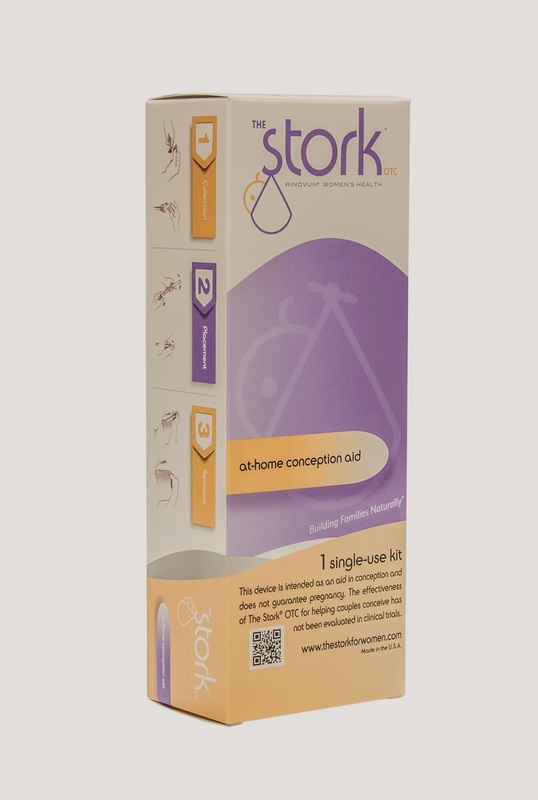 The Stork OTC is an over-the-counter, non-prescription purchase that consumers can use prior to taking more invasive steps towards trying to conceive. The process is fairly simple and completely drug-free. No prescription is needed. It's easy to understand why some women struggle emotionally with their difficulties when it comes to pregnancy. It's not something to be embarrassed about - but easy to recognize why one might not want to discuss this - even with their doctors. Sometimes especially with them. The Stork OTC is something you can go to your pharmacy to purchase without having to discuss anything with anyone. You and your partner can review more details on The Stork OTC website. The Stork OTC does not guarantee conception, but helps you to optimize your efforts to conceive and help you better time these efforts. You are in charge of when you use it, when you try and whatever you decide is a personal choice you make for you and your family. I've also got a free trial of The Stork OTC available for one of my readers. This giveaway form is completely confidential and only I will see the entries. I can promise you my discretion and you will only be notified via email if you win this prize. Please consider entering if this is a product you'd like to try out or learn more about. I accidently messed up my entries in the rafflecopter, but I can't go back and update it since the form lock you out, I posted my twitter name as my tweet, and then my tweet I posted for following you on twitter. Sorry, hope it is okay.